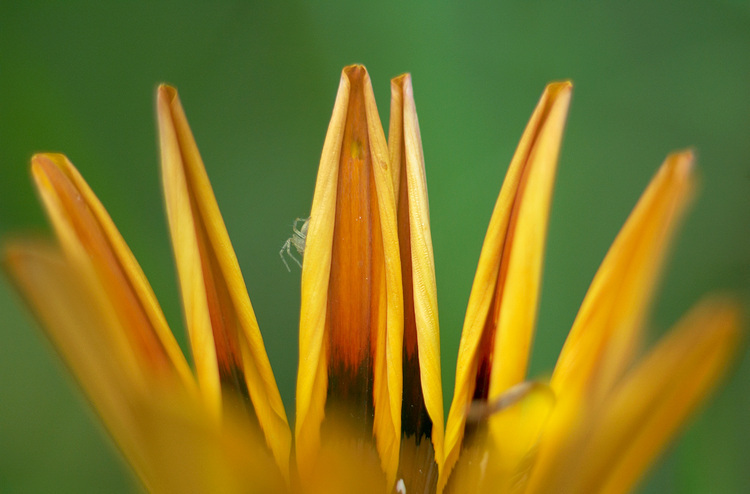 A tiny translucent spider sits on the petals of this 'crown' — a half-closed Gazania flower. I had to comment because you have no comments here for some unknown reason. It's beautiful - the shape and colors are wonderful!